Leh Palace overlooks the Ladakhi Himalayan town of Leh, modelled on the Potala Palace in Lhasa, Tibet. The palace was built by King Sengge Namgyal in the 17th century, but was later abandoned when Dogra forces took control of Ladakh in the mid-19th century. The royal family moved to Stok Palace. 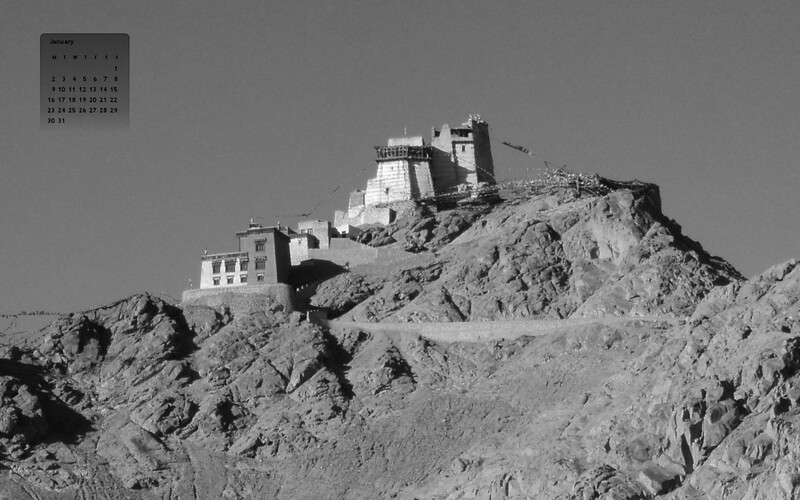 Leh Palace is nine storeys high; the upper floors accommodated the royal family, the stables and store rooms were in the lower floors. The palace, a ruin, is currently being restored by the Archaeological Survey of India. The palace is open to the public and the roof provides panoramic views of Leh and the surrounding areas.